MV Times – Police work in Martha’s Vineyard towns runs heavily to drug arrests, operating under, theft, and disorderly conduct rising occasionally to assault. The lag between the crime and an arrest is often short. 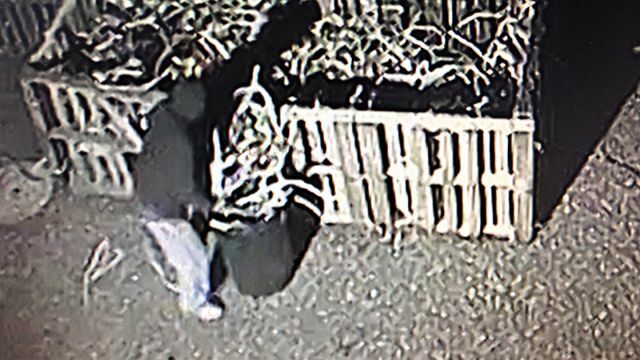 Sometimes though, successful investigations are built on inventive sleuthing techniques and the persistence of motivated police officers rooted in their communities. This article got me thinking about something. Isn’t it probably more work for less money to be a copper thief than it is to have a job? For instance we see reports of thieves cutting outside shower pipes off the sides of houses for scrap. With the amount of time and the tools it takes to do this couldn’t you make more money doing legal demolition? And bonus! You don’t have to work at 3 a.m. and you won’t go to jail. Remember kids, if you lay off the crack pipe, you won’t need to steal your neighbors copper pipe. P.S. Did you know that a penny made before 1983 is worth 2 cents because it was actually made of copper? Next thing you know crackheads are going to be breaking in your house and going through your couch cushions. 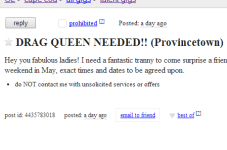 Cape Cod Craigslist Ad Of The Day - DRAG QUEEN NEEDED!! VIDEO: Two Great Whites Thrashing Just Off Shore - Katharine's Getting Laid!